Breaking Bad leading man Bryan Cranston just revealed an incredibly hilarious story on Ellen yesterday while promoting his book, A Life in Parts. Toward the end of an interview where he detailed everything from embarrassing photos of him jumping rope to his tough childhood, Cranston let slip an amazingly funny anecdote about his proposal to his wife and fellow actress Robin Dearden. He apparently kept the engagement ring on his pinky toe during the proposal. This might sound strange out of context, but totally true! During his interview on Ellen, Bryan Cranston was asked about his proposal to his wife, Robin Dearden. He explained he was so nervous about proposing to her and so convinced he would start crying, that he tried to devise a way to propose to her where he wouldn’t have to look at her while he did it. While this might sound kind of weird, it is very sweet in that he loved her so much that he didn’t think he’d be able to keep it together when asking her to marry him. So Cranston decided to pop the question in a bubble bath they were sharing on New Years’ Day. He however realized he didn’t have anywhere convenient to hide the ring. That’s how he came to the wacky decision of holding it on his pinky toe. While he detailed what sounded like such a beautiful and romantic proposal, it’s so funny to imagine having to end that romantic moment with taking his foot out of the bathtub and displaying the beautiful engagement ring to his lovely wife. 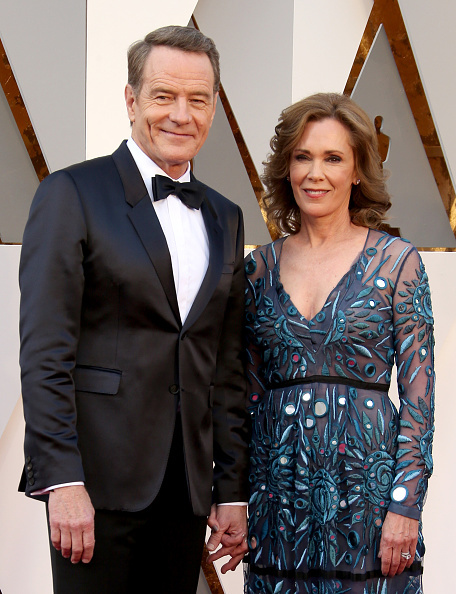 Awww, well, however weird the tactic, it’s great that it worked for Bryan Cranston and his lady!